Once again, I’m apparently having a very different reaction than everyone else. Last week the American Heart Association (AHA) put out a Presidential Advisory statement online warning against the use of saturated fats and in favor of polyunsaturated fats. We want to set the record straight on why well-conducted scientific research overwhelmingly supports limiting saturated fat in the diet. This advisory is based on careful scientific review — it has been organized in a very systematic way, involving experts from a wide range of fields who have looked very carefully at the literature. 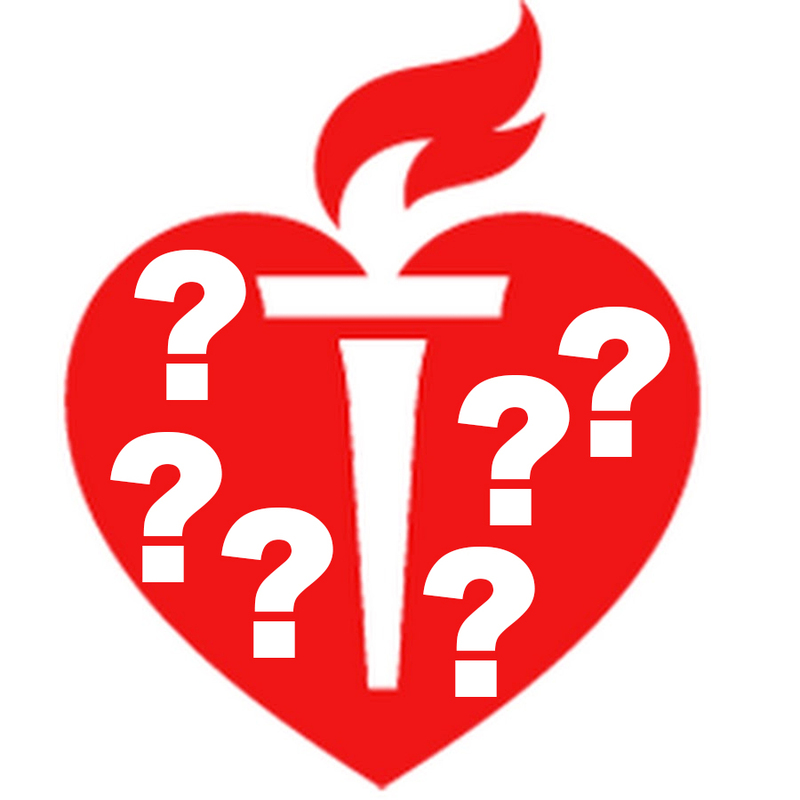 Then the recommendations have been thoroughly vetted and questioned through multiple levels of peer review and scientific advisory committees across the entire AHA. Okay, without question, I considered this excellent news for several reasons. Let me explain with an analogy…. Imagine saturated fat was a defendant on trial for murder. The trial stretched into years, then decades, and now approaches a century. The prosecution side is well funded with lots of resources and has been flooding the trial with mountains of papers and studies. The defense keeps finding issues with the evidence presented and starts to bring around many studies of its own, appearing to look better and better up to this point. The jury seems to be slowly moving more and more in the direction of the defense. Like me, you might be a juror that is coming in late and feel overwhelmed by how much homework you’ve been given and how much material you have to sift through to have any idea of what to think. You, me, and the rest of the jury look up in both surprise and relief. Everything just got easier for all of us! People are starting to believe saturated fat is okay or even healthy to the point where the AHA feels the need to act. This isn’t a study itself or a new guideline — this is a full-throated message to the masses. The AHA is insisting we narrow this down to just four studies. Four!!! Obviously, this means The Big Four presented must stand up to scrutiny in their methodology and data. And to be sure, I don’t know myself all the ins and outs of these studies to have a strong opinion — but I definitely will eventually. After all, I only have this tiny list now instead of the thousands in front of me before. Likewise, this implies every other study besides The Big Four is clearly unfit to meet the criteria set forth by the AHA. This too must be examined closely. The selection criteria itself is now something we can look at. When you announce you have used an objective, categorical set of standards — you have to be prepared to defend it. There have been many, many voices of opposition that have sprung up in the last week, but I’m going to point to two in particular. On the public prominence front, Gary Taubes delivers an impressive critique that outlines approach, bias, and the overall politics regarding the science and studies chosen. Of sources on the biochemical front, no one comes close to Chris Masterjohn’s very methodical breakdown of each of the Big Four. He exposes both the problems with these studies and the inconsistencies with the AHA’s selection criteria. If I could get you to read/listen to just two – make it these two. Will They Address Criticism Directly? This is an extremely relevant question. We can determine a lot by the next actions of the AHA with regard to defending their release — or ignoring arguments altogether. Is this about science or politics? They will rightly defend their selection criteria and address comments about this process itself. They will likewise rebut issues with the studies directly and why they believe each is worthy of the standard they set. They may ignore critiques of this advisory entirely, insisting their release adequately addressed all possible concerns. They may set up a false dichotomy with regard to response effort — “Hey, we can’t answer every criticism of this work.” In other words, if we have to answer even one, then we’d have to answer all. Therefore the prudent thing would be to answer none. They may employ political tactics such as singling out an extremist voice in order to set up a Weak Man Argument. This hasn’t happened yet, but let me go on record now to say it is a very, very common practice in politics of the modern era. I’m being sincere here – I’m genuinely happy the AHA took this action as I can now observe how much of the institution is acting on science vs politics. I do like your reasoning, highlighting the trap – -Science/Politics-. I’ve read the stuff, inc Chris Masterjohn’s analysis. I feel a bit sad that AHA personnel keep staggering down the wrong road bearing their self-imposed burden. I want to give them the benefit of the doubt. Since you decided to use a courtroom analogy you need to keep in mind that not guilty does not mean innocent; it only means that the prosecutor has not provided enough of a case to convict. So, Sat fat may not be guilty, but that does not mean in the context of your analogy that it is innocent. I completely agree. But as with science, the burden of proof lies with those who make the assertion. I am the host of the Intelligent Medicine radio program and podcast series (www.drhoffman.com/podcast-2/). I’d like to invite Dave to join me for a podcast discussing The Cholesterol Code. We record podcasts Mondays and Thursdays at 4 PM ET, and we have slots available in January. Please let me know if we can arrange a mutually convenient time. I’m a lawyer. I’ve got CAD and I believe the advice I’ve received over the last 5 – 10 years from medical doctors has worsened my condition significantly. I believe it was unethical and perhaps negligent. I’m looking into both individual and class action lawsuits (just data gathering from a legal perspective), and would appreciate hearing from anyone who has heart disease, or has lost a family member while under the care of health providers still passing out bad information. I’m actively wondering if this approach won’t bring needed, urgently needed, attention to these issues. I’d appreciate hearing from anyone who wants to just talk about the legal options for creating change. First, do no harm. Remember? I certainly wish you luck, Victoria! Unfortunately, I genuinely don’t believe there’s as much of a serious focus on evidence-based medicine in the area of heart disease given how much of a profitable distraction lipid-lowering drugs have become. In finding all this info on Remnant Cholesterol, I was genuinely surprised it wasn’t getting several hundred times the attention it does now given its predictive power over the much weaker LDL association with CVD (and especially All Cause Mortality). I can’t help but wonder if RCs get the silent treatment because there’s no drug that can improve it. Hi Dave. I am en ingineer from Cape Town, What is the opininon regarding taking 2 tablespoons of coconut oil daily? Dave is caught up in a few things at the moment so I’m covering until he’s freed up again. Regarding your question, I don’t think there’s necessarily any benefit or downside to it in the normal population from the studies I’ve seen. Because of how it’s metabolized it doesn’t generally work for the feldman protocol, and can possibly mess up lipid numbers (raising triglycerides and some other markers) creating some confusion, but beyond that it’s likely largely benign from what I’ve seen. There have been some studies showing it’s helpful in cases for epilepsy, and alzheimer’s and the like by giving an alternate source of fuel for the brain, so there’s that. It’s also pretty good for cooking, because of the higher saturated fat content and smoke point. Was there a specific question you have about it?